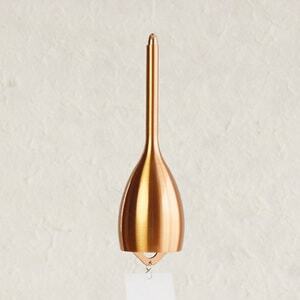 Here, our buyer introduces the fascination of Takaoka copperware. When did Takaoka copperware start? 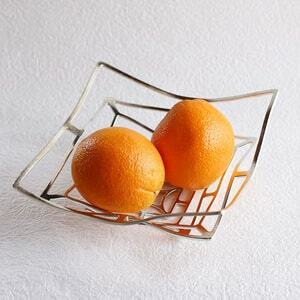 Takaoka copperware is a Japanese traditional craft of casting. Takaoka city in Toyama prefecture is the hometown of Takaoka copperware. 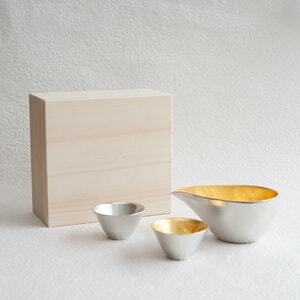 Tin tableware of Nousaku and suzugami from syouryu are produced with the skill of Takaoka copperware. 95% of temple bells, Buddhist statues, and bronze statues of Japanese temples are made in Takaoka city. About 400 years ago, Takaoka copperware was born in Takaoka city in Toyama prefecture. In 1609, Toshinaga Maeda built a castle in Takaoka. In 1616, Kaga han, or Kaga domain aimed to promote industry, and invited 7 craftsmen with casting skill from Osaka. Osaka was the birthplace of casting. For the casting, Kaga han opened casting workshops in Kanaya town, in Takaoka city. 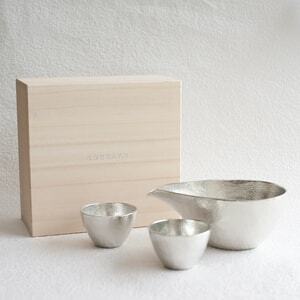 Takaoka copperware developed with “Karakane-Imono.” Karakane-Imono is the alloy casting. 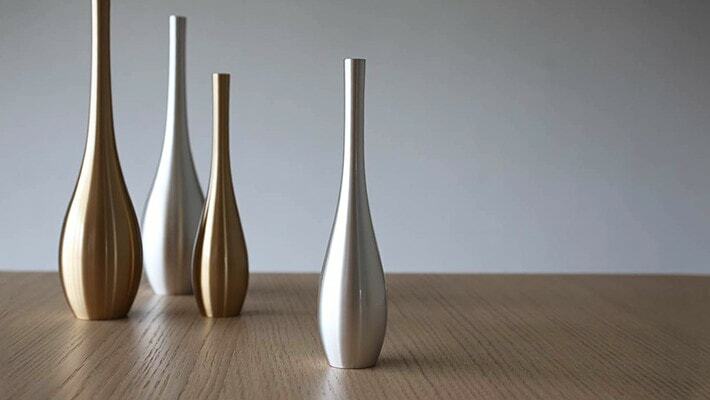 Craftsmen chase on flower vases or bowls and Buddhist altar fittings. In Meiji era, about 140 years ago, Takaoka copperware exhibited at International exhibition in Paris or Vienna. Takaoka copperware got high reputations for its detailed pattern and elegant forms. After that, Takaoka copperware established a status as export goods. During the wars, most industries were restricted to use metals. However, the Japanese government protected Takaoka copperware to maintain their skills. Takaoka copperware was recognized as the unique and important manufacture. 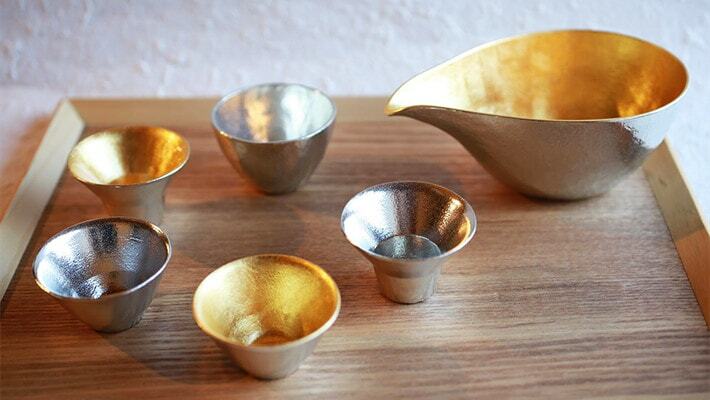 In 1975, Takaoka copperware was designated as one of the first Japanese traditional crafts. 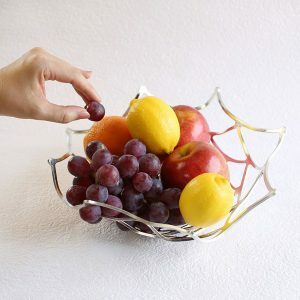 Now, after the 400 years of establishment, Takaoka copperware produce craft designs or industrial designs as the only producing area of copper castings. 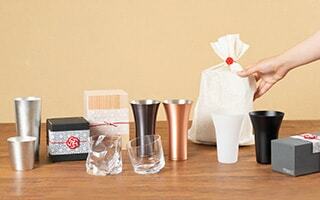 What is the representative products of Takaoka copperware? Takaoka copperware produces various types and sizes of items. For example, the Buddhist statues, temples’ bells, censers, tea ceremony sets, flower vases, or lanterns. 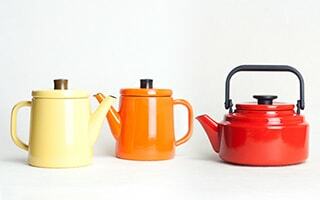 Those casting items of Takaoka copperware have been loved for their smooth surface of casting, aesthetic colors, and the beauty of products’ curves. 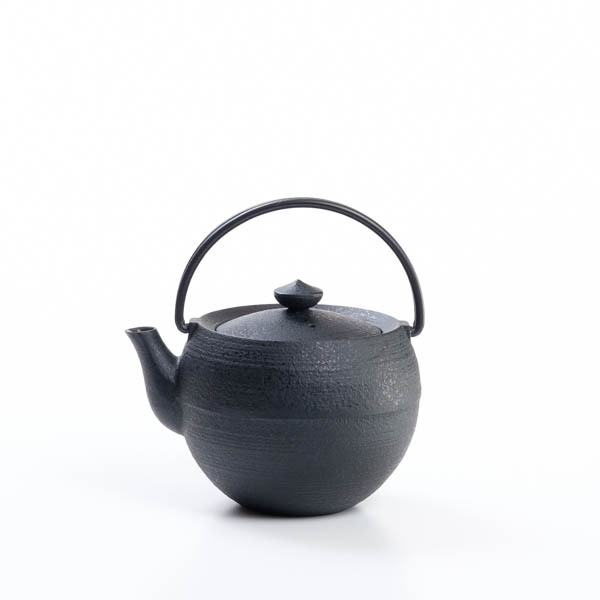 In Edo era, about 400 years ago, craftsmen mainly produced cast iron or cast copperware. As the industry developed, Takaoka copperware started to produce other casting metal than copper. The excellent skill of metalworking was applied to various metals such as tin or light alloy. 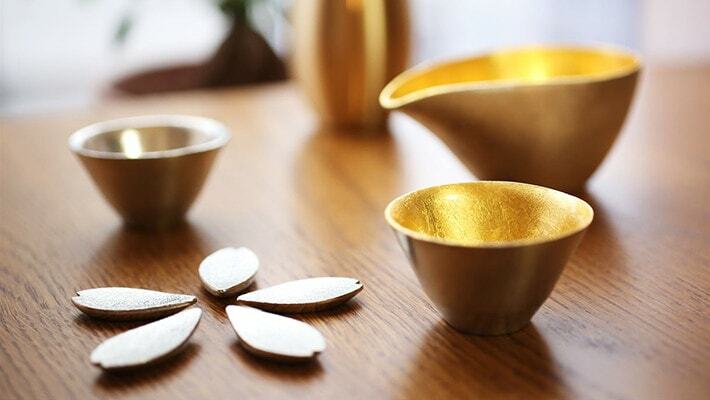 The skill and products got prosperity under the name of Takaoka copperware. 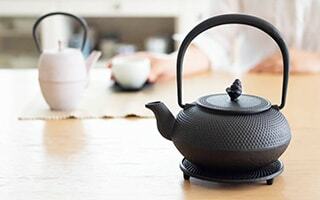 From small souvenir to large Buddhist statues, Takaoka copperware contribute to Japanese rich culture in every moment of daily life. 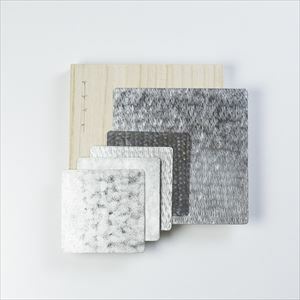 First, let us introduce you a lineup of tin products from syouryu, or Shimatani syouryu atelier. 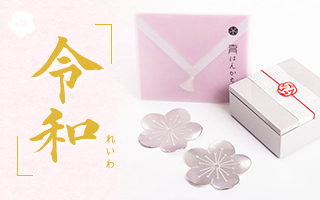 Suzugami means “suzu (tin)” + “kami (paper).” As the name explains, suzugami is made of tin, and able to be bent easily like a paper. You can bend, fold, or extend suzugami many times. You can make your favorite forms. 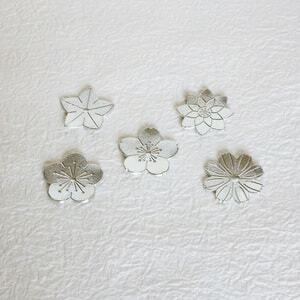 In addition to use as tableware, suzugami can become accessary tray or flower vase for dry flower. Nousaku is a historic casting brand in Toyama prefecture. 100 years’ atelier of Takaoka copperware or Takaoka casting. 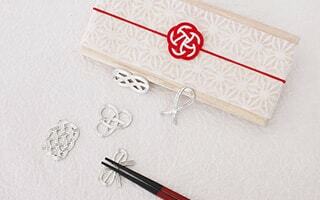 When Nousaku was established, Nousaku produced the Buddhist altar fittings, tea ceremony sets, or flower vases. 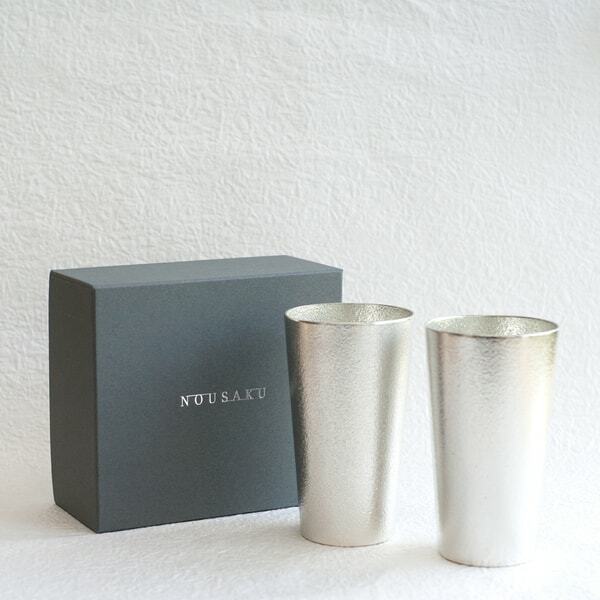 Recently, Nousaku announces the fascination of Takaoka copperware through modern interior items, tableware, lighting, or art objects. 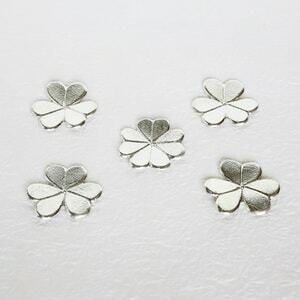 Their products are made of 100% real tin or non-colored brass with excellent casting skill and modern design. 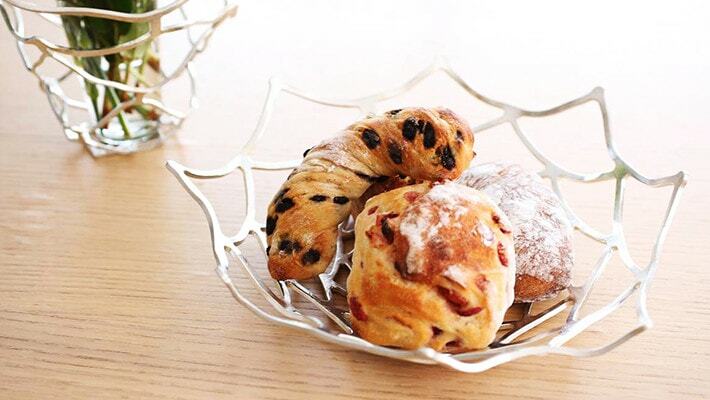 In the factory, craftsmen handmade each product by traditional casting method. 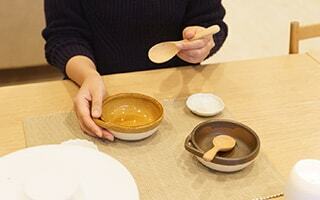 In the traditional method, craftsmen make mold with sand, clay and water. 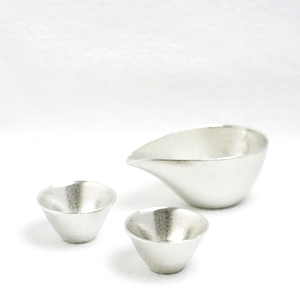 These years, Nousaku invented silicon casting as an eco-friendly method. In addition, Nousaku stated up the research on casting method, and manufacturing with new category of business, medical field. 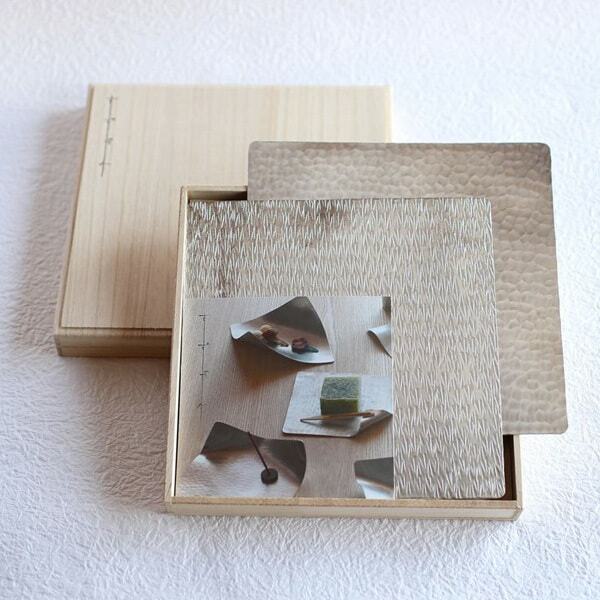 Nousaku continues creative development by craftsmen’s network and recruitment of young craftsmen. 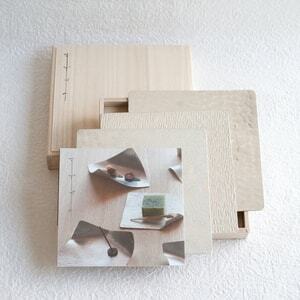 Now we can say that Nousaku is a top brand of Japanese traditional crafts. 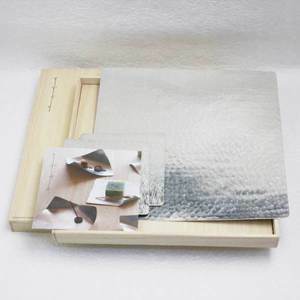 Japan Design Store offers the products of Nousaku through Internet sales. Please enjoy every bit of Nousaku products. 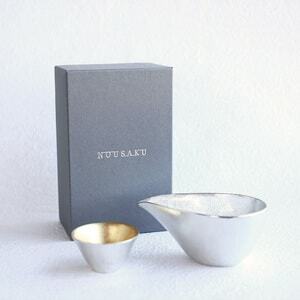 Why Nousaku chose tin as the material of sake set or sake cups? In fact, this function of tin was scientifically proved by an examination at Industrial Technology Center in Mie. Make cold sake more delicious? 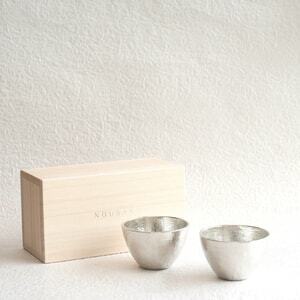 To make more delicious sake, refrigerate sake cup of Nousaku for 2-3 minutes. The cold sake make much colder and delicious! 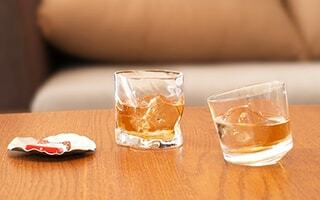 That is a perfect reward for sake lovers. 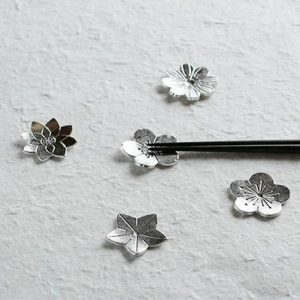 Chopstick rests of Nousaku are made of 100% real tin. In fact, tin is the third expensive metal material after gold and silver. 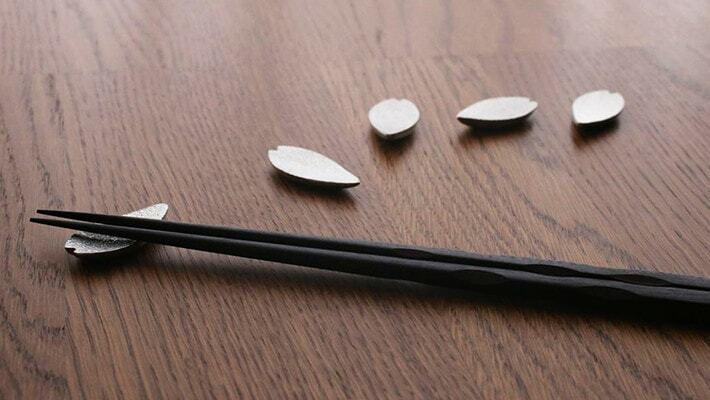 Small chopstick rests can add luxury on the table. Also, unique designs relax us. 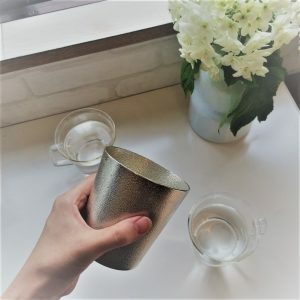 Tin is expensive metal, hard to be oxidized, and has strong antibacterial effect. Furthermore, tin is less smelly unlike other metal materials, and a good material in an aspect of hygiene. 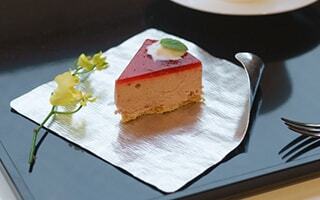 Tin products are easy to coordinate with various kinds of cuisine. 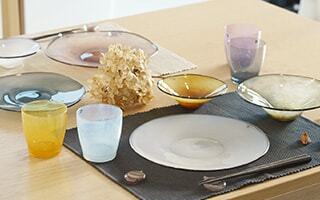 Your dinner table will be more stylish. 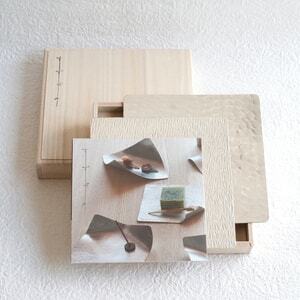 You may have less chance to get chopstick rests. 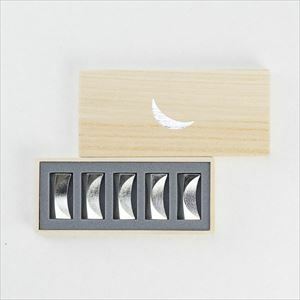 However, one chopstick rest can dramatically change the atmosphere of your dinner table. Please find your favorite design! 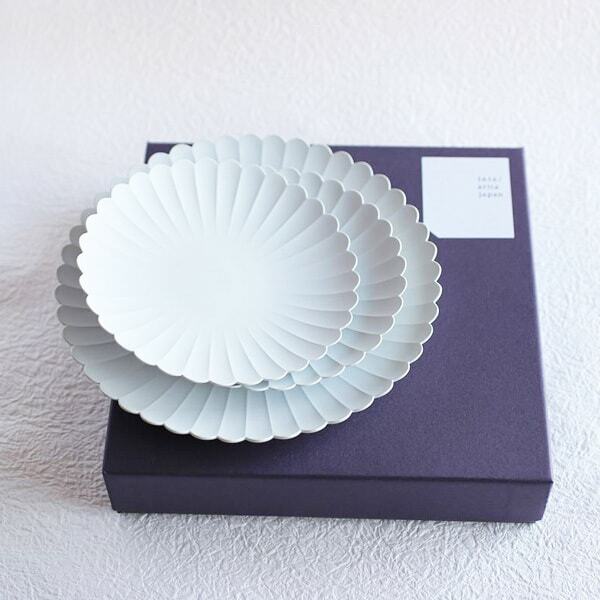 Tin flexible tableware KAGO is like an artwork. 100% real tin products can be bent easily. 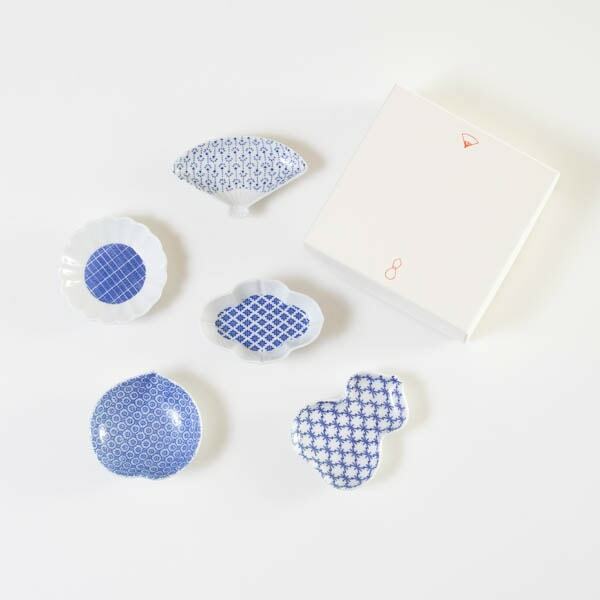 A Japanese designer Rina Ono designed this modern tableware. She made most use of the feature of tin. 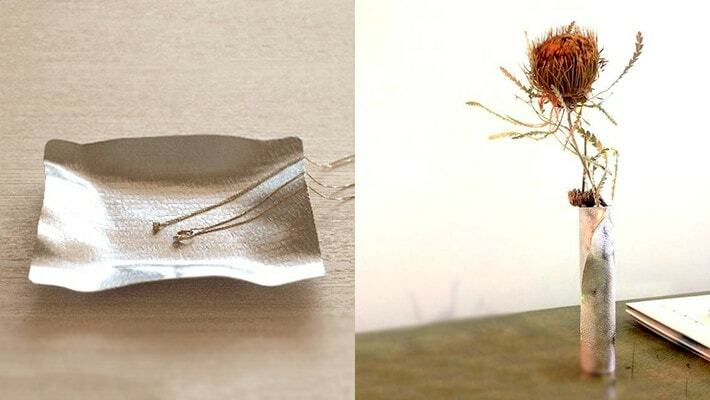 Tin can be bent easily even if it is a metal. KAGO was introduced by multiple magazines or TV programs. Some interior shop was not able to get enough stocks. 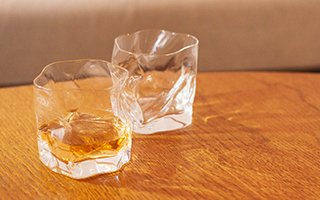 At first sight, KAGO looks like a mesh coaster. 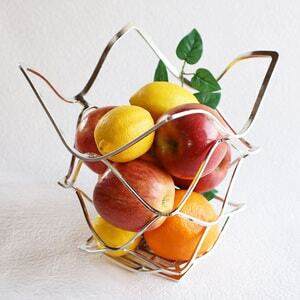 You can make a fruit basket, wine stand, art object, or hot pads. 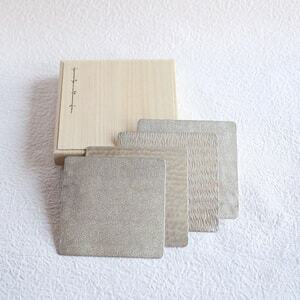 What do you make with KAGO of Nousaku? 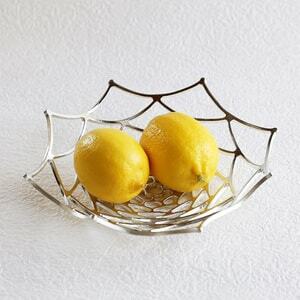 KAGO was born from Japanese traditional crafts Takaoka copperware. It is traditional, but modern as well. KAGO is a worth getting item! 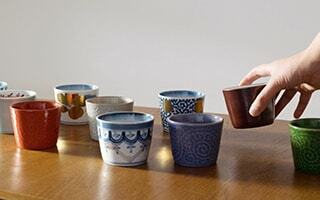 [Nousaku] KAGO is a flexible tin tableware. Japanese traditional skill meats modern design. You can change its form repeatedly as you want. 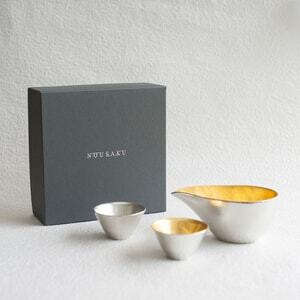 This luxury tin tableware changes your dinner table into a modern art. Brass is an alloy of copper and zinc. People have been used this metal since 1000 B.C. 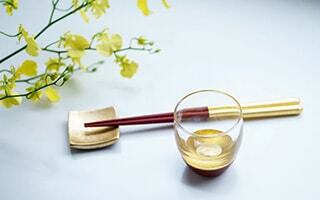 about 1300 years ago, brass was introduced to Japan from China. Brass can make clear sound. 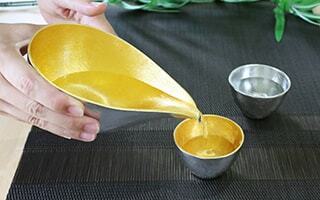 Therefore, Takaoka copperware use brass for the Buddhist altar fittings or instrumentals. 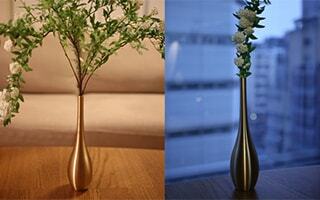 Fashionista insists on simple and detailed work flower vase. A flower tells us the seasonal changing and polished sense. 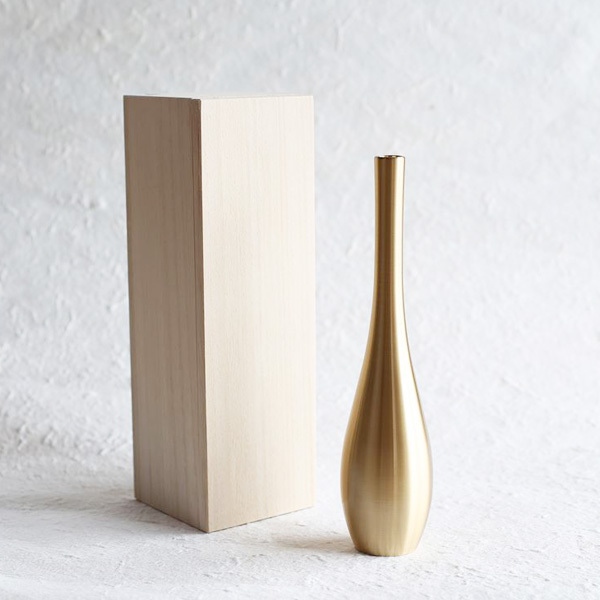 The craftsmanship of Takaoka copperware produced this metal flower vase Sorori. 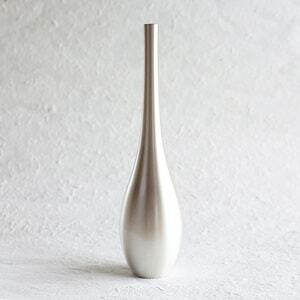 Smooth texture and the beauty of its curves give special presence of this flower vase. 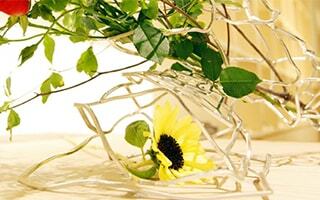 Even without flowers, Sorori is beautiful itself as an art object. 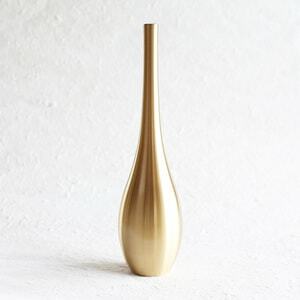 Sorori of Nousaku gives elegant atmosphere into your room. Please feel the solid and elegant presence of Sorori by yourselves. 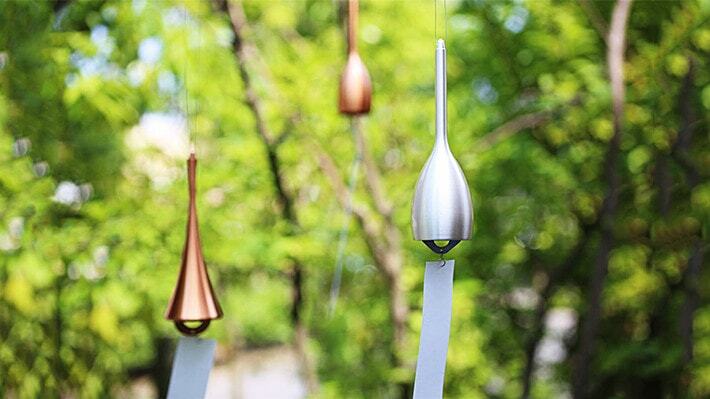 Why casting brand Nousaku produced wind chime? Nousaku has produced the Buddhist altar fittings. Since 2000, the representative Mr. Nousaku searched the new possibilities of Takaoka copperware. Then, he paid attention to Orin, a metal bowl for Buddhist ceremonies. Orin made clear sound. After the try and errors, the brass wind chime was invented. 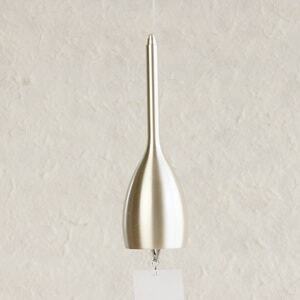 When you imagine Japanese wind chime, the glass wind chime may be come upon into the mind of most of people. 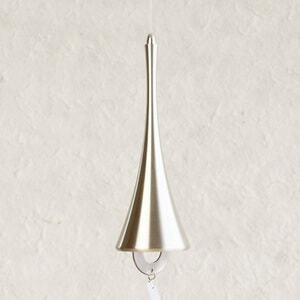 Those glass wind chime is called Edo Furin. 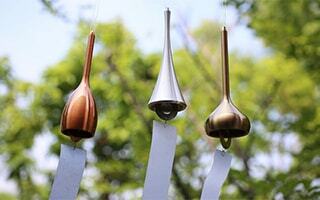 On the contrary, the Furin, or wind chime of Nousaku is made of brass. 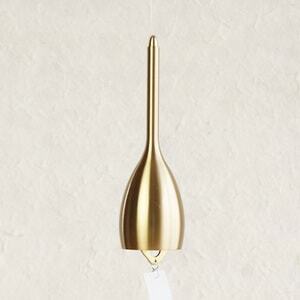 This brass wind chime is produced by the processing skill of brass cultivated by the producing Buddhist altar fittings. 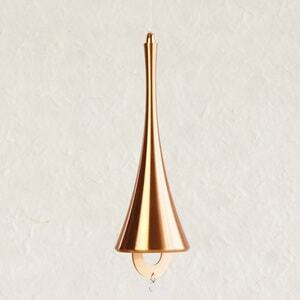 Brass wind chime can make high and clear sound. 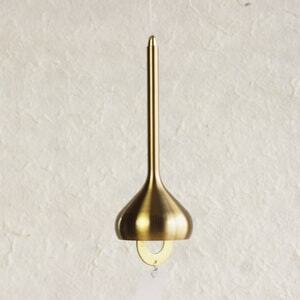 Brass wind chime is one of the representative products of Nousaku, as same as KAGO. Modern design and beautiful sound fascinates us. Japanese TV program introduced KAGO of Nousaku today! 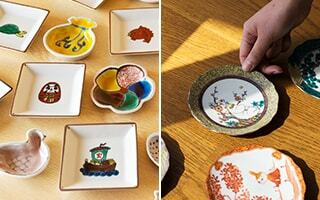 Traditional crafts in Toyama prefecture have been popular!